Our glazing service extends to the most difficult to reach places, wherever the location. It’s also a service where our reputation as the fourth emergency service is growing. We’re proud to say we carry out glazing surveys for some of the largest facilities management companies in the world. Mainly focusing on overhead glazing in line with BS 5516-2:2004, we make sure the glass on each building is safe, secure and compliant across their entire portfolios. After evaluating the safety and suitability of each and every window, we submit a detailed report outlining our findings, complete with images and recommendations. No matter how high your broken windows are, or how tricky they are to access, our time-served team will rise to the challenge. In fact, we specialise in replacing and servicing every conceivable type of glazing profile. From basic sealant repairs to large-scale replacement, no job is too big, too small or too out of reach. As experienced installers of a wide range of glass, we’re experienced in replacing and installing replacing glazing in complex locations such as atriums, canopies and high rise buildings. Our in-house fleet of specialist access plant equipment also gives us a head start on every job, meaning we can react quicker and at a lower cost. Meaning your business needn’t be affected in any way. Sometimes, even a little thing like a broken window can cause a major headache for your business. 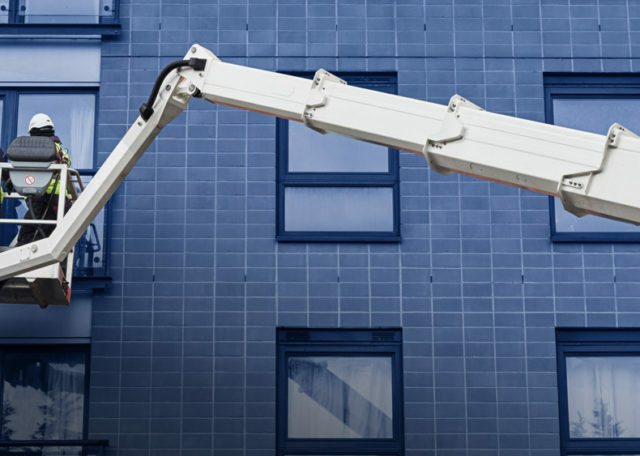 Our 24hr emergency service includes everything from boarding up damaged glazing, to removing loose capping and frameworks. Working around the clock, the year and the country, we’re a 24/7/365 service that’s fast, safe and reliable. We treat each emergency as if it were our own, aiming to minimise your losses and disruption to trade. Put simply, we keep your business moving. I would have no hesitation to recommending NSS for any high level maintenance project.